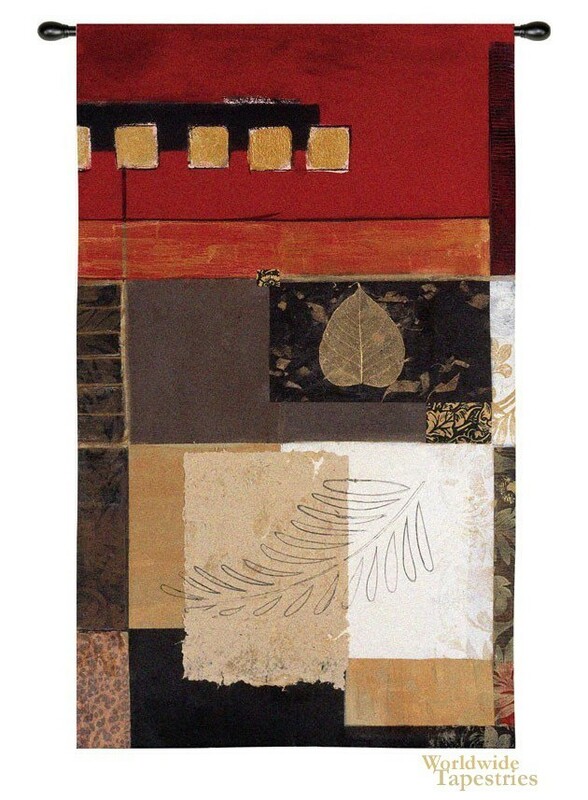 This modern, contemporary tapestry "Enlightenment I" shows the work of artist Connie Tunick. Her works are modern and abstract and in this piece, uses elements from nature. Here we see bold color blocks of red and tans, with blacks, and a few different natural motifs. Her commissions have been collected in galleries and corporate galleries in the US including New York and Florida. This modern art tapestry "Enlightenment I" is backed with a lining and has a tunnel for easy hanging. Note: tapestry rod, where pictured, is not included in the price.